TRISTAR Managed Care has 17 years of experience providing Bill Review, offering access to PPO Network contracts as well as nationwide Medical Provider Networks (MPN) for self-insured and insured organizations. TMC analyzes and reduces medical bills to fair and equitable amounts. Statistics show that over half of the costs of a Workers' Compensation claim are for medical benefits. TMC closely monitors medical treatment plans and bills in order to reduce workers' compensation costs. We average savings of more than 70% for all types of medical bills. TMC's highly trained analysts review all unidentified and complex procedures prior to processing. By reading the medical reports, TMC ensures that the services billed were the services rendered. Our trained, experienced analysts add up to 30% additional savings to the bill review engine. We recruit the best analysts in the industry, each averaging 15 years of experience. All of our analysts undergo intensive training which includes testing, lecture, and actual hands on practice, with continual monitoring by supervisors throughout the duration of their employment. TMC's bill review system is delivered as an Application Service Provider (ASP) model. This means clients receive updates to the state fee schedule, clinical guidelines, and application changes as soon as they are loaded into the system. TMC offers a client portal that combines multiple TMC and regulatory resources into a single client-specific web resource. TMC provides our clients with custom PPO networks designed to maximize savings. This approach allows our clients to enjoy the best-in- class national, regional and state specific networks. Because we realize that one network cannot fit all needs, we collaborate with each of our clients to design a PPO network configuration based on the client's history of medical bills. With over 30 qualified networks across the country, our comprehensive analysis creates the roadmap for us to design a mosaic of PPO networks intended to maximize savings. TMC also works with our clients to ensure key providers in the local community are identified and contracted. Partnering with physicians to provide the right treatment at the right time affords every opportunity to return injured employees back to work safely and timely. TMC has a solution for bills that fall out of our PPO network. Our "Specialty Bill Review" analysis provides a fair and reasonable payment recommendation on out-of-network, non-fee schedule facility or ancillary service bills. We use a "blended" database to create a documented explanation of the recommendation for payment. 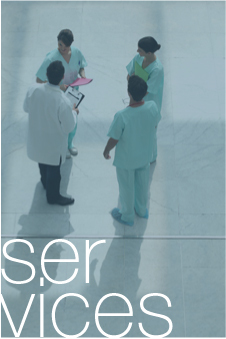 Specialty Bill Review is designed to accurately re-price bills for outpatient facilities, surgery, and pain management as well as new and unusual diagnostic and therapeutic services. By reviewing the surgery bill in conjunction with the facility bill, unbundling, a common source of unjustified overcharges is prevented. Although these bills consist of less than 10% of the total number of bills, they drive up to 30% of total medical costs. TMC typically saves double the industry standard for these types of bills by employing physician review and proprietary database information. All reviews are supported by thorough research and reporting of our findings. The reimbursement recommendation is produced and backed by our team of experienced analysts. All hospital bills, regardless of billed charges, are processed by a Hospital Billing Specialist, providing a 70%+ reduction on charges not subject to the fee schedule. TMC responds to all provider inquiries for re-evaluation or reconsideration, and provides documentation to our client. This documentation includes copies of the original review, documentation sent from the provider, and TMC's documentation for the rationale of the decision. Our system is able to detect both partial and total duplicate billings. The system displays the previous bill track number as a reference; the analyst views the reference number to ensure accuracy. TMC's average turnaround time after receipt of bills is four (4) days. We guarantee a turnaround time of three (3) business days for review of typical bills and seven (7) business days for more complex bills. A tight turnaround time ensures fewer duplicate bills by the provider and less paperwork for the examiner.